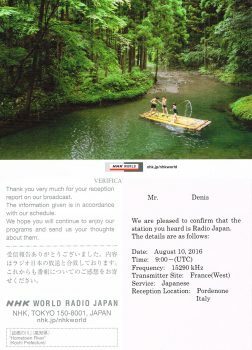 Paper QSL received by NHK world Radio Japan English service transmitting from Austria on 5975 kHz AM. Report sent via website, paper QSL received in 45 days. Paper QSL, letter and schedule from NHK World Radio Japan transmission in Japanese language of the 10/08/2016 on 15290 kHz. 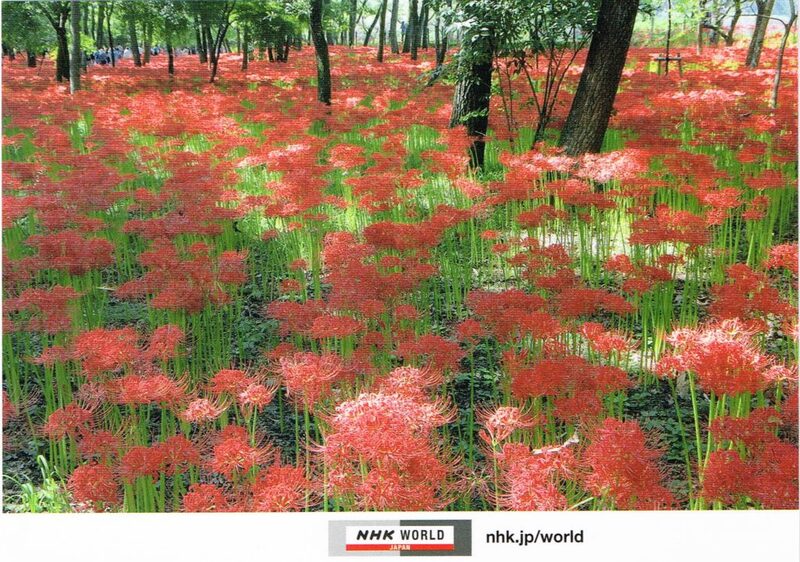 Report sent via web https://www.nhk.or.jp/nhkworld/en/contact/ , QSL in 28 days.